So much attention for this draft class has centered around the depth of the WR position. A lot of focus has been on the likes of N’Keal Harry, DK Metcalf, and Tyler Johnson. However, in my opinion, and underrated and underappreciated WR is Andy Isabella. He reminds me a lot of a Cooper Kupp type prospect. 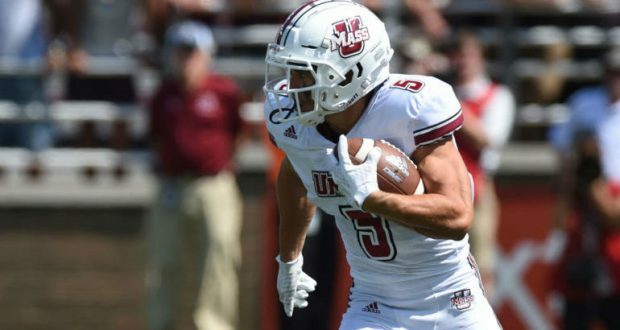 Andy Isabella was a Fred Billetnikoff finalist in 2018 for UMass. The 5’10”, 190-pound receiver has an incredibly versatile skillset and led the nation in receiving yards per game (141.5) on his way to being named a Consensus All-American in 2018. Despite lacking prototypical size for a Wide Receiver, Isabella still possesses impressive athleticism. In high school, he was a talented track sprinter, even beating Denzel Ward in State Championships. Isabella will be attending the Senior Bowl soon (hosted by the Raiders), and has been graded by PFF as the highest rated WR in college football this year. His QB had a 129.2 passer rating when targeting him, as well as forcing 18 missed tackles. Isabella may be penned as your stereotypical slot role WR, however I think he can win all over the field (much like Cooper Kupp). 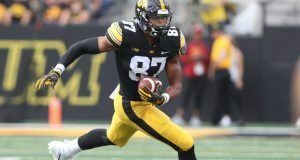 He will be a fantastic possession WR who I believe will be able to make an instant impact at the NFL level due to his polished routes and hands. After reeling in 30 TDs through his college career, he clearly has a knack for finding the end zone too. Furthermore, Isabella’s 4.16 yards per route run ranks 5th all time among the college ranks. Only Amari Cooper, Davante Parker, Michael Gallup, and Rashard Higgins eclipsed his mark. Quite often with smaller school receivers, the level of competition can be a question mark. With Isabella, he’s certainly performed against strong competition. Against Georgia this year he finished with 15 receptions for 219 yards and 2 TDs (wow). Against BYU he finished with 10 receptions for 85 yards. And, against Florida in 2016, in his first college game he gained 95 yards against a defense that had 7 players drafted. It’s difficult to say where Isabella will be ranked in terms of the NFL draft and rookie drafts. 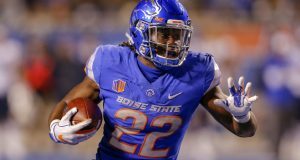 We’ll see how the Senior Bowl and combine pans out before gauging stock, but I’d be delighted if he’s available in the 2nd round of drafts in a few months. Walterfootball currently ranks him as the 25th WR in the class….if that holds up, I think he’s a total steal.